MAC Red; This is your classic blue toned Hollywood glamour Red lipstick. If you love classic Red shades with no Pink or Orange undertones, this is the one for you. It has a lovely Satin formula meaning it has amazing pigmentation as well as good lasting power but it isn't completely - it has a lovely creamy texture. 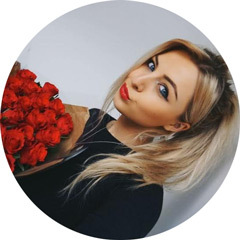 Clarins Joli Rouge Red Orange; I'm a massive fan of Orange toned Red lipsticks and Red Orange from the Clarins Joli Rouge range is exactly what you'd imagine from the name - a Orange toned Red lipstick. The reason I love Red with lipsticks with Orange tones is the fact they brighten up my whole complexion. I love the formula of this one too - it's very moisturising and glossy on the lips which I personally prefer over matte formulas. Revlon Fire & Ice; This is a fairly recent addition to my lipstick collection but one I'm so happy to finally have my hands on as I've heard so much about it from other bloggers and Youtubers. It's what I'd describe as a Coral Red as it has hints of both Pink and Orange in it. It's from Revlon's Super Lustrous Creme range meaning it's really creamy, hydrating and glossy - right up my street basically. It's also the cheapest of the bunch so if you don't want to spend a lot of money on a lipstick, this is the one to go for. 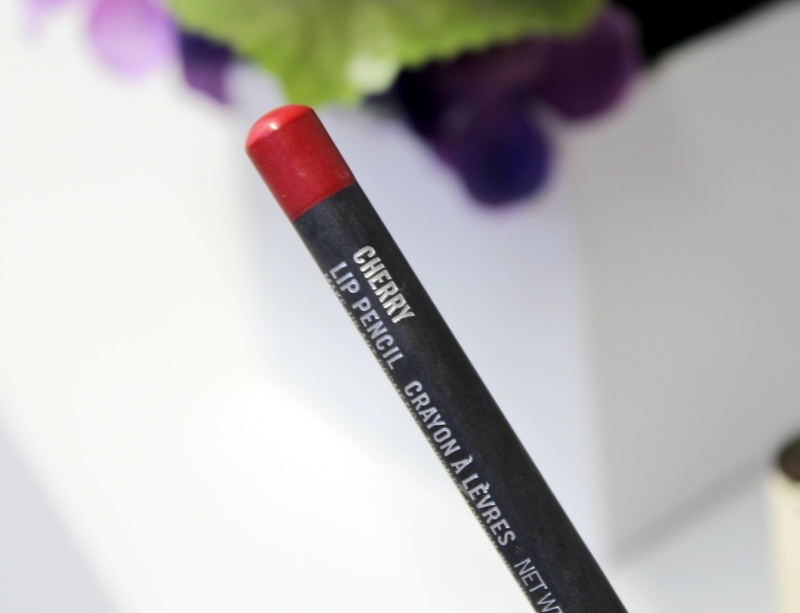 NARS Cruella Velvet Matte Lip Pencil; Now although I'm not a huge fan of matte formulas, this NARS lip pencil in the shade Cruella is an exception as it's an absolutely beautiful shade and not as drying as other matte lipsticks I've tried. Much like MAC Red it's what I'd describe as a classic red shade and it's really easy to apply because of the pencil style applicator. It almost acts as a liner and lipstick in one which I really love. If you're someone who doesn't typically like matte lipsticks, I'd recommend giving this one a try as the colour, pigmentation and longevity are worth it. MAC Cherry Lip Liner; I've only had this lip liner for a few weeks now but it's already gone straight onto my list of favourite Red shades. It has a lovely creamy texture and glides onto the lips with ease. I'd say this is a red with Pink undertones hence the name 'Cherry' but I'd definitely say it's more on the Red side. I've had so many compliments when wearing this and because it's a lip liner, it's really long lasting. 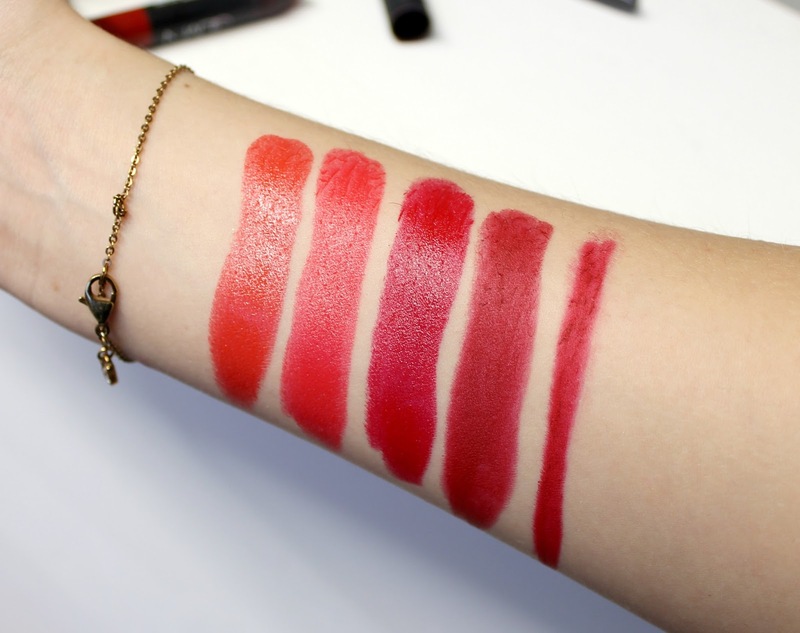 It can also be worn underneath a red lipstick for a more intense and long lasting colour. 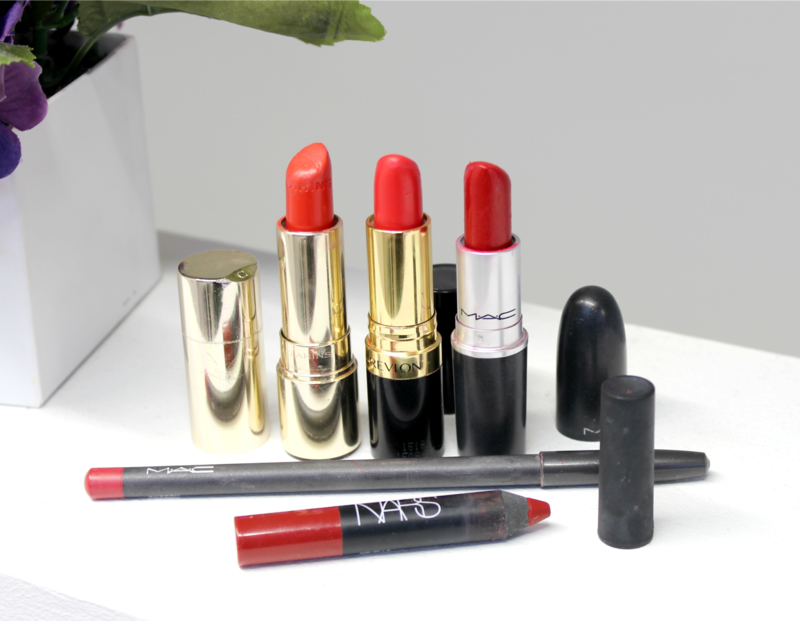 So there we have my favourite Red lipsticks to wear over the festive season. Do you like wearing Red shades at this time of the year? Let me know your favourites in the comments below!! these look gorgeous especially the Nars one! 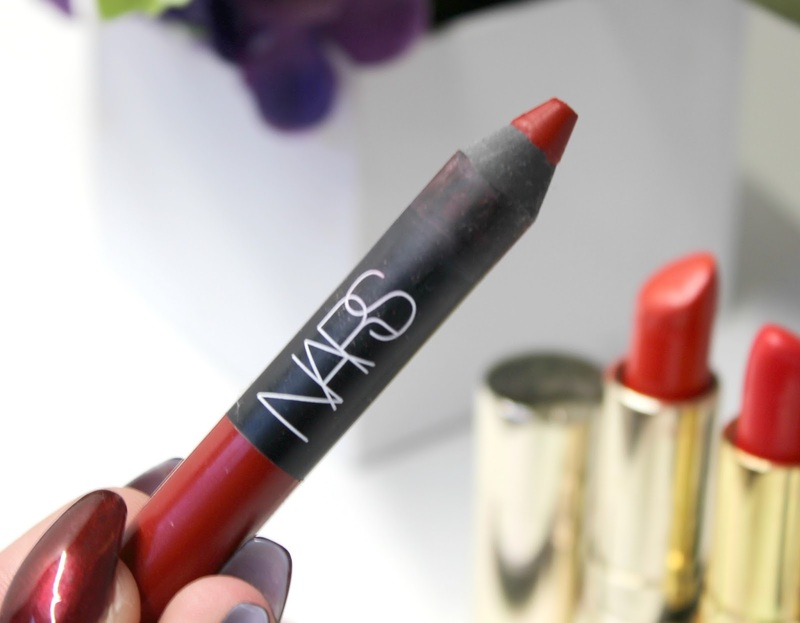 These look great - really like the Nars Lip Pencil!! All these sound lovely and I am loving red and was looking for a new one. I need to check out the revlon and Mac one next time I'm in town. 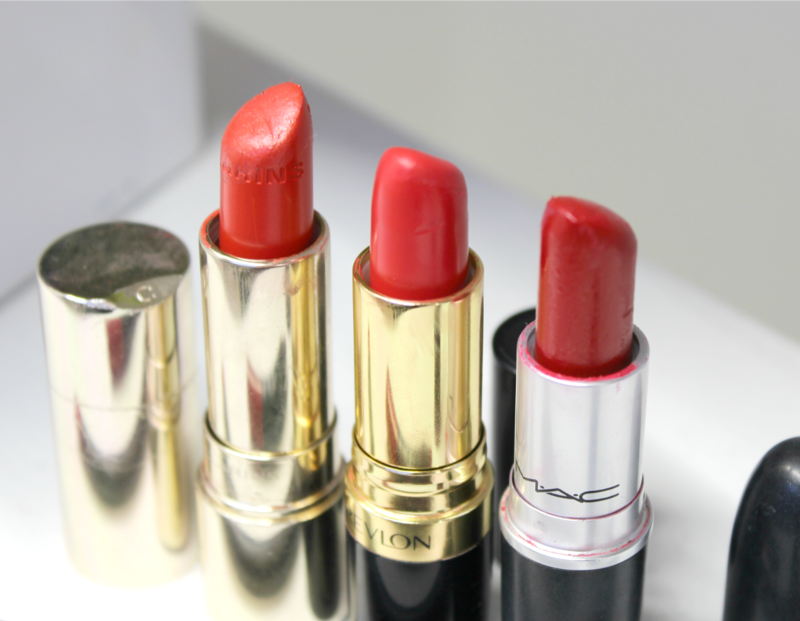 I use MAC Russian Red, they have so many similar shades, including Red which you picked. I've heard Lady Danger and Ruby Woo are lovely too. I heard so many good things about the NARS Cruella, I really want to get it! MAC Red is my all time favorite red... I think it's the most underrated red lip color ever!